Spike who is perhaps best known for her Twin Peakseque webcomic Templar, AZ, has done an impressive job here — the book is well organized and shows a tremendous amount of research and thought. The book opens with a general chapter on the philosophy of “poorcraft” and then moves to chapters organized around practical issues like: housing, food, clothing and health. Spike also covers transportation, education, emergencies and entertainment in other chapters. There is also a huge chapter with additional links and resources at the end of the book. The idea of “poorcraft” is a collection of tips to do more with less, be financially savvy, and take more advantage of free and low-cost opportunities where they exist. All of which might make this sound like a dry, dull resource book. Nothing could be further from the truth. It’s a very fun read with all of the information presented as a dialogue between the poorcraft-savvy Penny and her neighbor Mil, who like a lot of us has fallen into a lot of financial and lifestyle habits that most of us don’t even stop to question why. 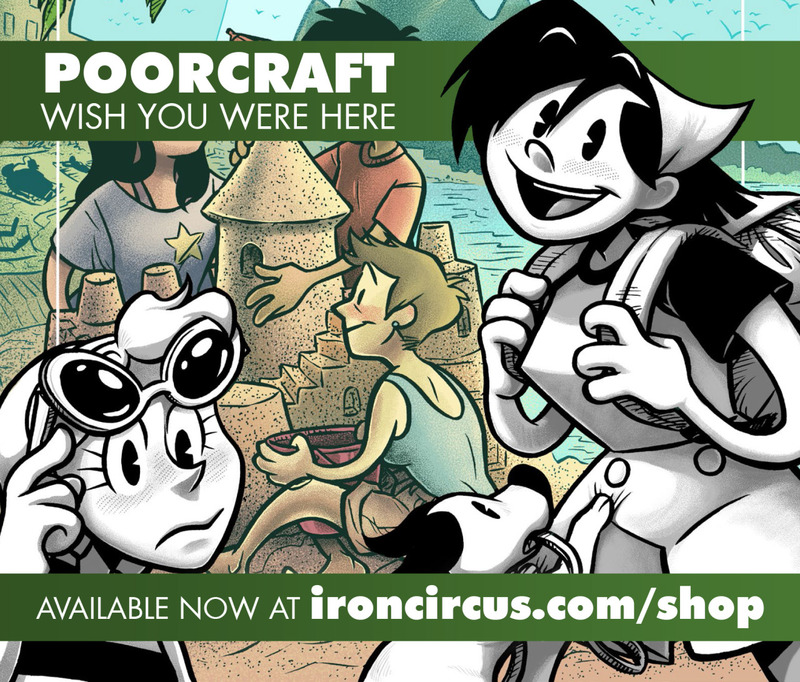 Spike makes the comic as much a story as a how-to book, following Penny’s efforts to help Mil learn poorcraft and get out of the many financial problems she has wandered into. Between Spike’s snappy dialogue for both characters and Diana Nock’s fun, loopy, entertaining artwork, the book is a good, fast read. One that you will want to go back to individual chapters to review when you’re interested in the particular advice on that subject. Definitely worth checking out. If I was organizing a “gift guide” from comics — this would be a great gift for someone leaving the “nest” for the first time. Unlike countless other books on the subject this one is almost certainly going to be the most fun one to read. Previous Article← Let’s Get It Arted… In Heeeere!